Gail and George are delighted to serve as the Gala Chairs for the 2015 Invisible Disabilities Association Awards Gala. Having supported multiple nonprofit organizations in Denver for years, they have continued to share their time, talents and expertise. IDA is honored to have them play an integral part in our event and are grateful for their involvement. 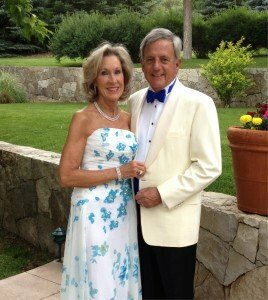 Together they have chaired The HDSA Celebration of Hope Gala, Saturday Night Alive Carousel Ball and were awarded Pillars of the Community in 2008. Gail has also been involved with the Denver Heart Ball (co-chaired), Brass Ring Luncheon, the first Girls and Guys Night Out, three Kempe Galas, Friends for Families First Steppin’ Out Gala, and Western Fantasy.